Home Autos Cars Honda Honda Civic Open House Event FEEL THE RUSH: The First All-New Honda Civics for Customer Delivery Have Arrived! FEEL THE RUSH: The First All-New Honda Civics for Customer Delivery Have Arrived! 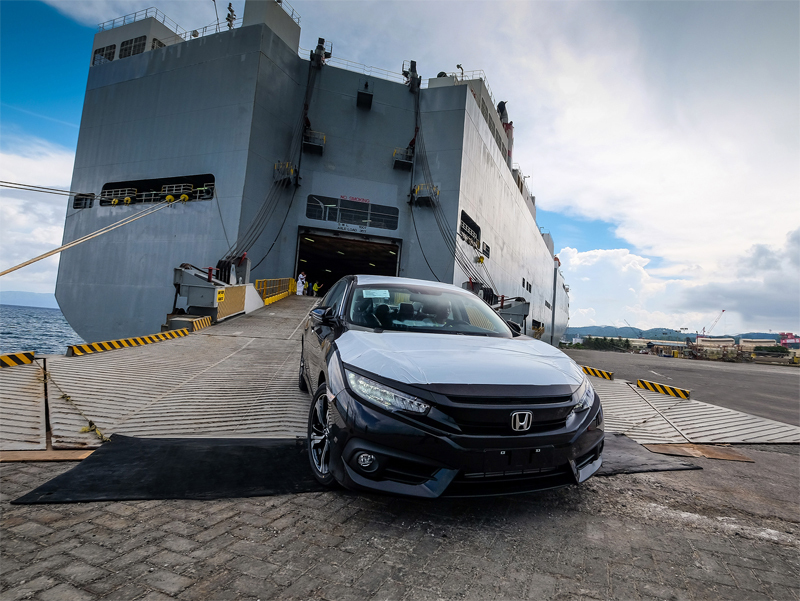 Honda Cars Philippines, Inc. (HCPI), Honda’s automobile business unit in the Philippines, gears up as the first batch of the All-New Civic finally arrives on Philippine shores. With the first shipment of All-New Civics, HCPI starts the countdown to the vehicle’s availability at Honda dealerships nationwide. June 11 (Saturday) marks the availability of the All-New Civic at dealerships. Customers eager to see the All-New Civic can come visit their nearest Honda dealerships, which will be holding a special Open House Event to commemorate the arrival of this latest model from Honda. Since its launch to the Philippine media last April 26, the All-New Civic was met with much enthusiasm by both motoring journalists, as well as the general public. HCPI is pleased to report that it has generated over 1,200 reservations of the All-New Civic! The accumulated All-New Civic reservations only shows how Honda’s premium sports sedan has managed to rekindle the fire it has developed with thousands of Filipino customers over the years, who have grown to love the unique qualities that only a Civic can provide. This tenth generation shows that the Civic is truly Reborn. The All-New Civic appeals a new aggressive design with its coupe-like low and wide stance, sleek bodylines, and sharply defined character lines. For more information and updates on the All-New Civic, visit www.hondaphil.com or any authorized Honda dealership nationwide.